Whether shipping within the United States or abroad, hazardous materials or HAZMAT goods are a special case. Procedural norms for handling them can be complicated, especially when more than one country is involved. UN Model Regulations guide the international transport of hazardous goods. While not a global rule of law, they are widely accepted. They also serve as a guide for developing and implementing regulations closer to home. 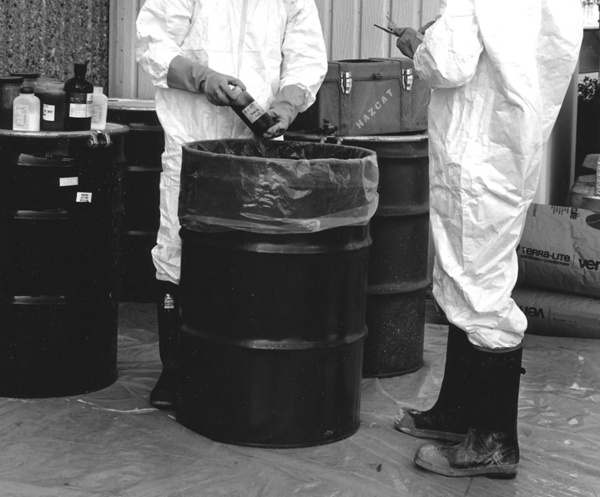 One of the first steps in safely handling hazardous materials is classifying them. Is the material a flammable liquid or solid? Is it a gas or an explosive? The UN Regulation Model for dangerous goods has several classifications and they all require special packaging. The U.S. Department of Transportation recognizes the same HAZMAT classifications as the UN requirements. That is due in part to the need for consistency in handling dangerous materials, whether it is a domestic or international shipment. It is also because UN classifications are accurate. There is little reason to overcomplicate matters. In the U.S. and many countries around the world, the predictable rules for hazardous goods are in effect for every regulated mode of materials transport. Lion Technology explains that whether it is by rail, air, vessel, or motor vehicle, hazardous materials transported within, out of, or through America are equally subject to regulation. Many rules are the same from one American mode to the next, but each one is subject to special rules as well. As for international transportation, standards such as the International Civil Aviation Organization (ICAO) and the International Maritime Dangerous Goods (IMDG) take precedence. Again, they are all rooted in or very similar to UN Model Regulations. Some HAZMAT containers have an expiration date. Just because HAZMAT packaging is safe inside the United States does not mean it is deemed safe for international transport. Daniel Stoehr of Daniels Training Services writes at New Pig that a good example is the plastic drum container. The packaging must be officially authorized for containing the material. The shipper has determined that the packaging meets general HAZMAT packing rules. The packaging must be clearly labeled with its UN standard classification. Suitable materials and strength for its intended use. No recycled materials allowed without explicit permission. UV protection acceptable if it does not compromise packaging integrity. Every point in the packaging must meet strength standards. Acceptable, standard size openings for filling, emptying, and venting. Secure closure for removable head containers. Within the maximum capacity and net mass dimensions. For international transport, there is another regulation to meet. Packaging for hazardous materials may only be used within five years after the manufacture date. The UN Model Regulations were developed by the Economic and Social Council's Committee of Experts on the Transport of Dangerous Goods. Although they were created and issued as recommendations, the scope of research and level of subject matter expertise of the committee makes the regulations universally valuable. That is why the United States, as well as countries around the world, have created similar domestic rules. Modeling domestic HAZMAT transport rules after UN specifications brings uniformity to industries that manufacture, package, transport, and store hazardous materials. DOT rules might not be identical in every instance, but they are quite similar. Remaining compliant with UN-certified packaging standards requires working with a supplier that is innately knowledgeable with product and packaging classifications and the testing required to remain compliant. Having passed rigorous testing, CDF’s UN-certified bag-in-box allows you to transport a wide array of goods domestically and internationally. Download this data sheet to learn more about CDF’s UN-certified bag-in-box packaging and how it will help you keep your business moving.